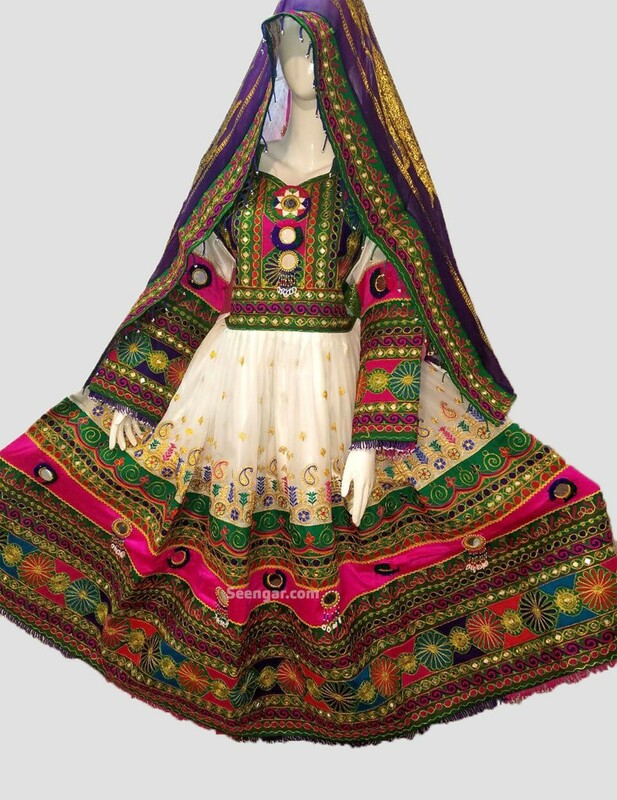 The Howlite Afghan dress offers a fresh touch to this traditional dress. 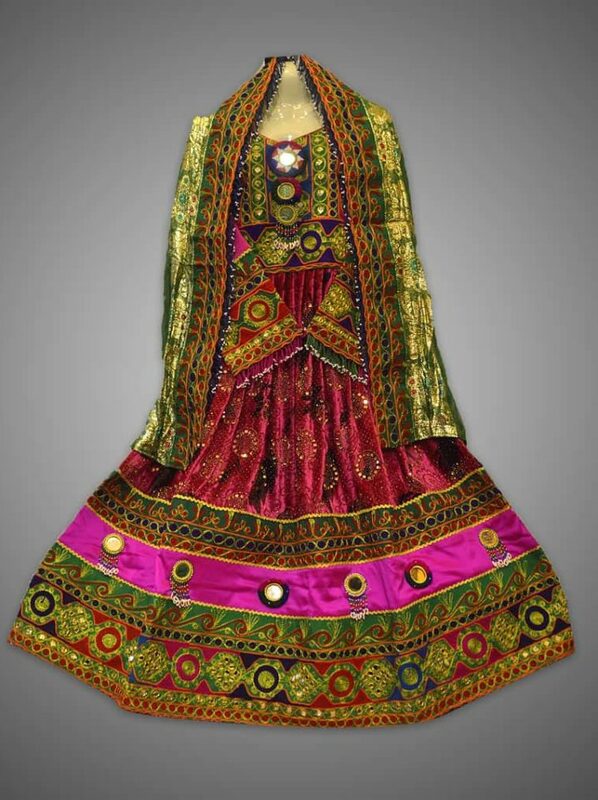 The dress offers an extensive mirror, patch, and thread work; that creates a beautiful design. 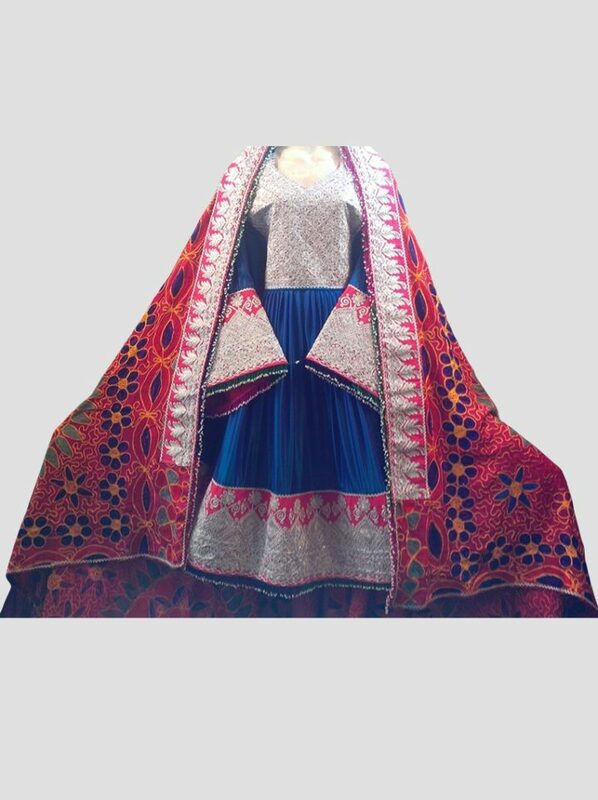 Allowing this full sleeved traditional dress to be the perfect fit for your Nikkah. As it offers the light and bright feel, along with a traditional touch. 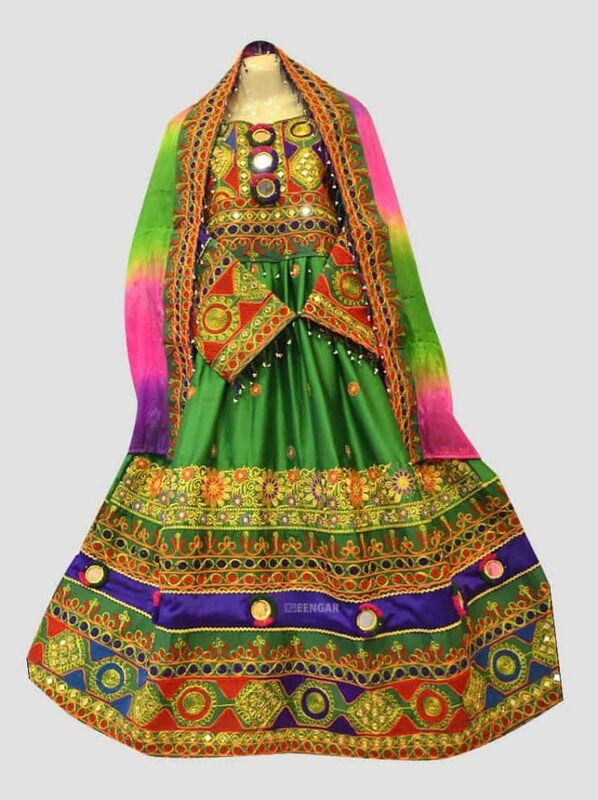 An eye-catching dress, that will make every head at the event turn in your direction! 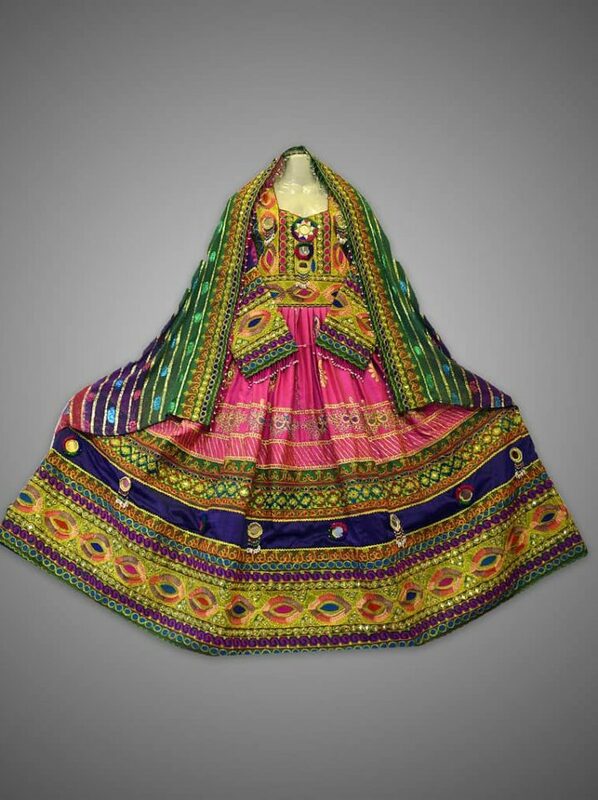 Moreover, the frock comes with a matching dabatta, that looks absolutely stunning.